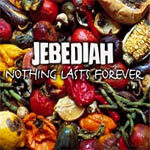 Second single from the album "Jebediah". Live tracks were recorded at CBGB's in New York City on 6th October 2000. CD is in very good plus (VG+) condition. Insert has some minor water damage.